The fleet segment in India is rapidly growing with many popular players like Ola and Uber. And there is a new entrant now, Blu-Smart. What makes it different from other cab brands is that is employs only electric cabs. 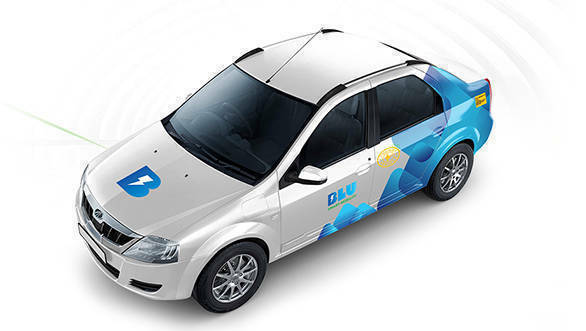 Gensol Mobility, part of the Gensol group, have launched the Blu-Smart electric cab service in New Delhi and the national capital region, making it India's first ever electric vehicle taxi fleet launched in New Delhi. The company has invested over Rs 50 crore in acquisition of EVs and creating charging infrastructure. It will be setting 65 charging stations across the NCR. with each having upto 20 charging points, across the NCR, thus ensuring assured charge to the vehicle having access to a charging point in 5 km radius. In the first phase, 70 BLU-SMART cabs will be available in Noida, Greater Noida, Gurugram, Aerocity. This will be ramped up to 400 cars by end of March 2019. Blu-Smart will be catering to both inter and intra-city services. Most importantly, the company has announced that it will never offer surge pricing ever. Gensol Mobility has partnered with Mahindra & Mahindra and had inducted e-Verito sedans across specific routes in the national capital region such as Greater Noida, Gurugram, Manesar, Sonepat amongst others. "Green and pollution free existence is the mantra for human life, so smart and pollution free mobility can never be far. We at BLU-SMART, strongly believe that the next revolution is in the electric vehicle space and being a technology driven organization, we had to venture into offering this mobility solution. We are not a competition to current app-based cabs services, but a mere greener alternative to them. And we provide assurance as our drivers will never refuse a ride", commented, Anmol Singh Jaggi, promoter Gensol Mobility Private Ltd.